I arrived in Nashville on Wednesday, ready to hit the town with Grandma!! I went out a day early, before my friends all got there, to prepare the music city for all the awesome girls that were going to descend on it! And to spend time with Grandma. Lucky for me, I arrived on a pretty active day. As many remember, this particular Wednesday was very difficult for a lot of people in the South. This was the most active day for tornados in a long time. When I was flying into Nashville, it was pretty turbulent, actually more like a roller coaster. So I can only imagine what the really bad winds were like and after seeing the destruction on TV of what went on just 60 miles south of Grandma's, I am grateful that we were looked after where we were. The afternoon was spent with Grandma, watching the weather news and getting caught up on family news. Because the next day, 5 more girls were headed into town!!! 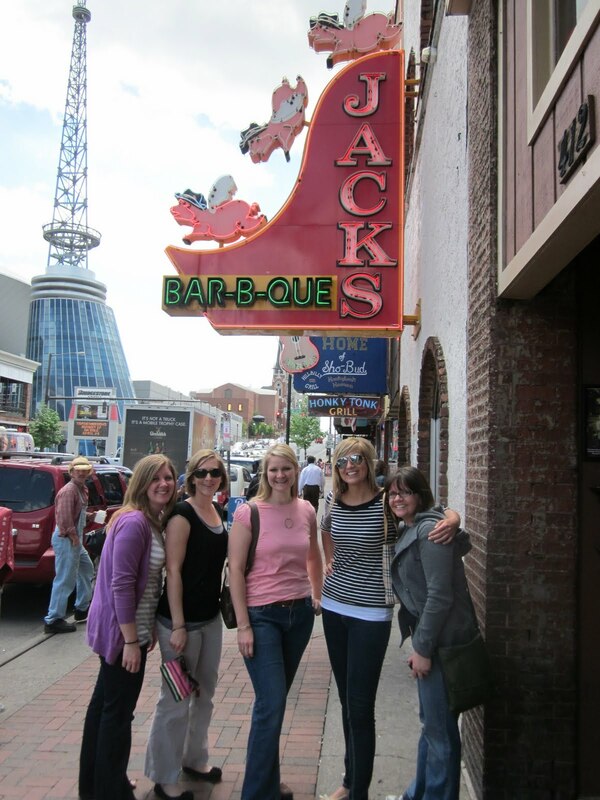 On Thursday, the rest of the girls made it to Nashville! They flew in about 1pm. Emerald and I met up with them at the airport (side note: Emerald served her mission in Nashville. She flew out on Wednesday as well to do some mission visiting). Our first stop of course needed to be some southern BBQ! 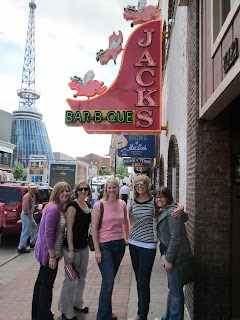 We hit up downtown and Jacks BBQ. We decided to wander downtown and check out Broadway, where all the music venues and honky tonks were located and Printers Alley. 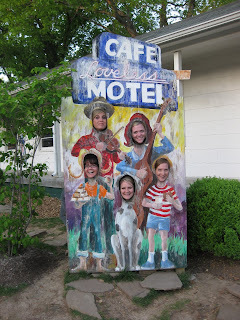 While we were there, we were introduced to boiled peanuts, sorry just couldn't get behind this southern snack. We walked the riverfront and had a great time getting ourself acquainted with area. 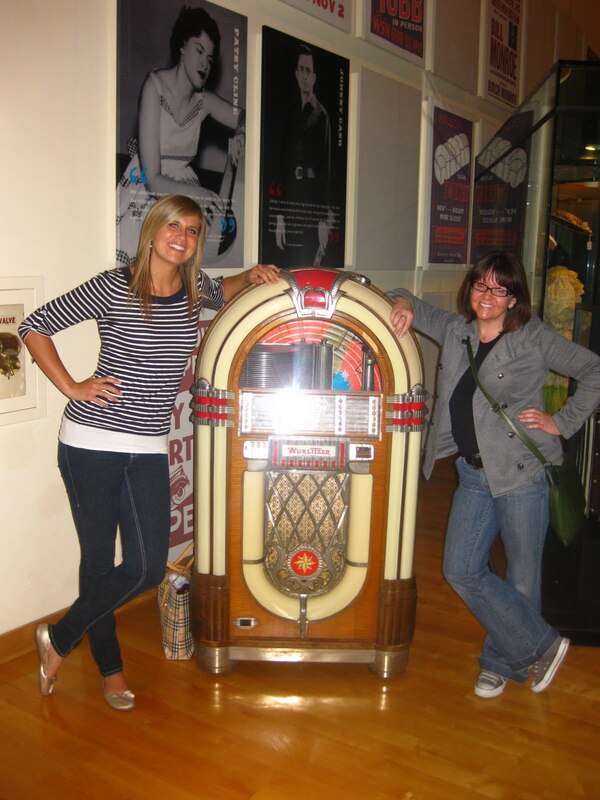 The Country Music Hall of Fame was on the agenda as well as we strolled throughout town. While others were in the Hall of Fame, Emerald and I, the parentals, laid out plans for our Nashville excursions. Emerald and I, being those who had been there before, were kind of the unspoken navigators. But when it came down to it, we were daily changing it up and checking out our "GPS." 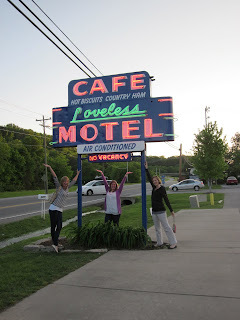 After we got worked our way through downtown, we headed out southwest to the famous Loveless Cafe for dinner. 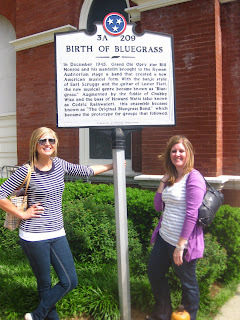 On the way, we drove through Vanderbilt and through some beautiful neighborhoods. But we had a goal...FOOD. Yup, folks, this trip was almost all about the food. 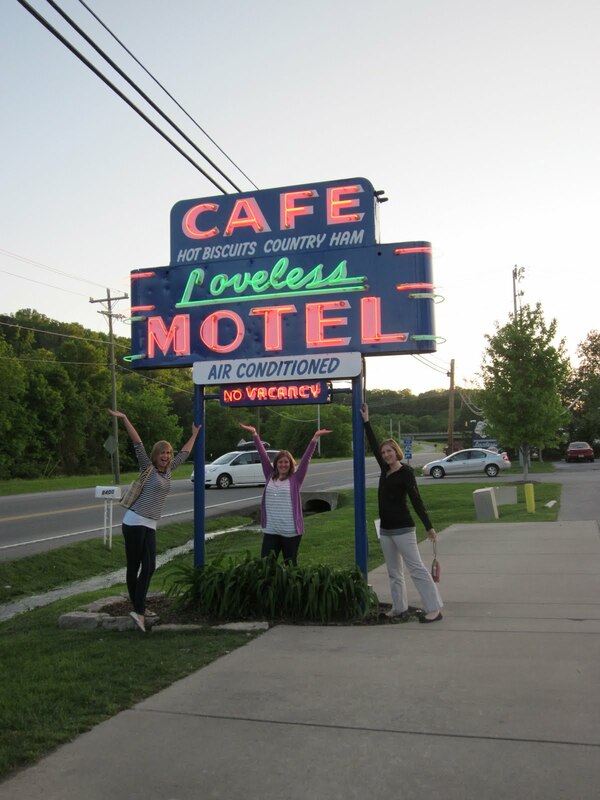 We ate our way through Nashville. And as said before, we ate...so here's to the end of the day! Stop traveling! You're making me jealous haha. Sounds like it was a ton of fun!